The park is located via Highway 138, 11 miles east of I-15; or 20 miles north of San Bernardino via Highways 18 & 138. Silverwood Lake SRA is open 6:00am to 9:00pm daily. All vessels must be off of the lake and trailered before sunset. Anglers 16 years and older must have a valid California State Fishing License in their possession. Silverwood Lake State Recreation Area experiences high visitation beginning in April and continuing through October. On holidays and all summer weekends, the park may fill to capacity and, if so, will be closed. Please note that if you park on the Highway 138 on or off ramps, or are blocking any part of the roadway outside of the park, your vehicle may be subject to citation or tow. If you arrive and find the park entrance closed, please return at a later time, typically after 4:00pm. Please plan your visit accordingly. The park is located off of Highway 138 and Cleghorn Road, 11 miles east of I-15 heading east; or 20 miles north of San Bernardino via Highways 18 & 138. Campfires are allowed in designated campfire rings in the campgrounds only. Charcoal BBQ's are allowed in the established BBQ's in the Day Use areas and the campgrounds. 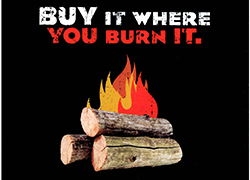 No groundfires are permitted in the day use areas or anywhere outside of the provided campfire rings. To enhance the security and safety of Cedar Springs Dam, the CA Department of Water Resources has closed the Dam to Recreational Access. For further information on the closure of the Cedar Springs Dam, please contact the Department of Water Resources at (916) 653-7564. Pacific Crest Trail is open in the park segment for through foot and horse traffic. HORSES ARE NOT RECOMMENDED north of Hwy 138 to the foot of the Dam. Restrooms, water and camp facilities are not available in the Park. NO GROUND FIRES! Fires only allowed in designated fire rings and BBQ grills.